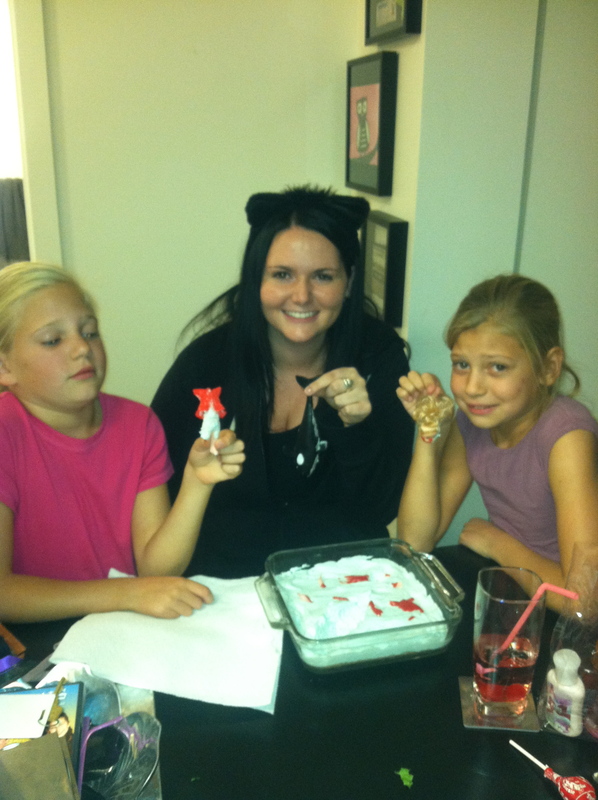 Tonight is the annual Halloween sleepover with my cute nieces Emily & Noelle. 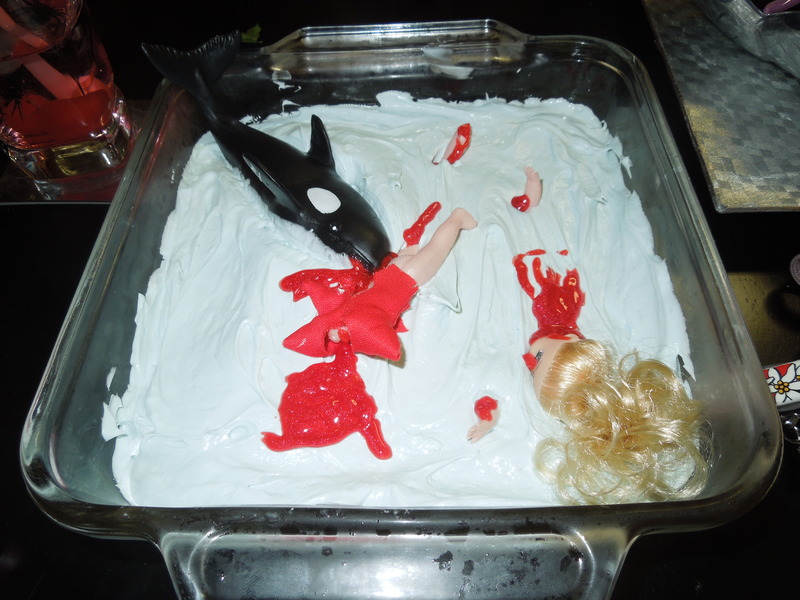 Last year we ordered pizza, decorated sugar cookies, and watched Casper! This year, feeling in the Halloween spirit and having time to peruse pinterest, I set up a spooky evening! 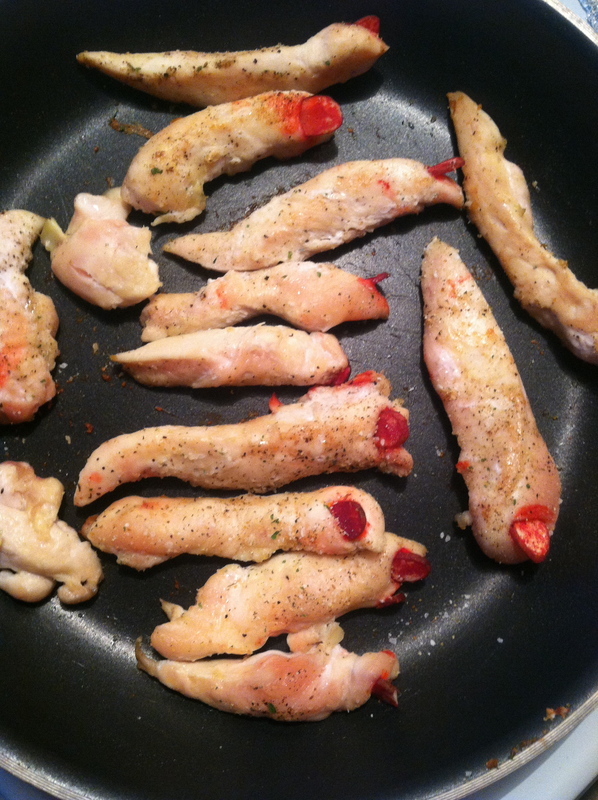 I cut chicken tenders into finger like strips and then added sliced almonds that had been dyed red with food coloring. (I put a few drops of red food coloring into the bottom of a plastic cup and then added the almonds and shook the color onto them.) I then added the “nails” to the uncooked chicken simply by sticking them into the chicken. If I were to do this again, I would maybe try adding the nails AFTER the chicken was done cooking, because as they cooked, some of the dye got onto other parts of the finger! You can also try different colors for the nails. 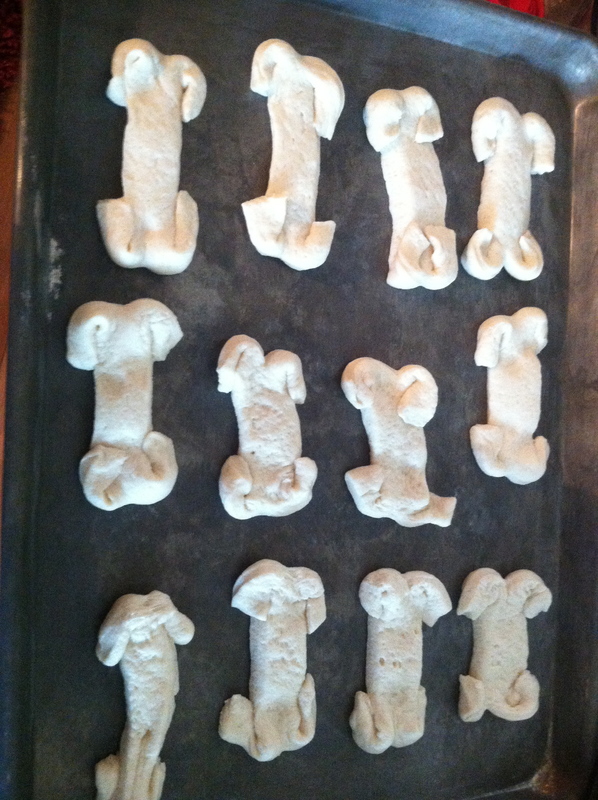 I found this idea on Pinterest – I used store bought breadstick dough and cut the ends in half and folded them up to look like bones. 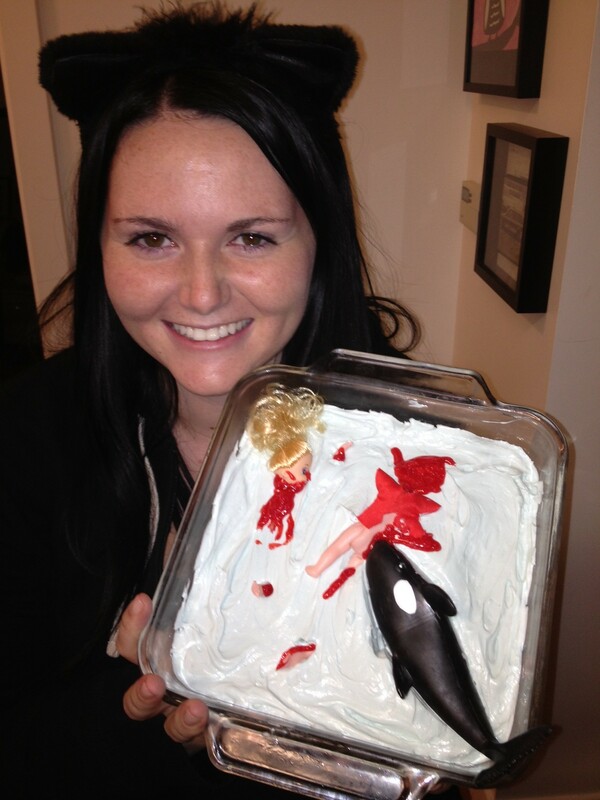 Pretty yummy! 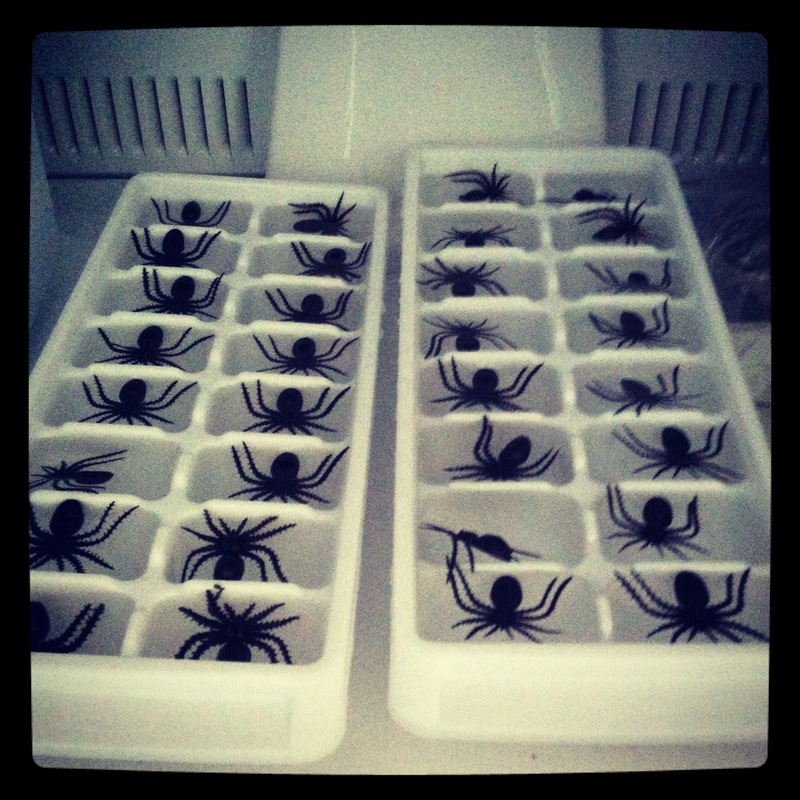 At Target I bought a $3 pack of plastic spiders and then added them to my ice-cube trays and froze the spiders into ice cubes! I did try a few different variations of freezing techniques because the first batch the spiders had all floated to the top and some of their legs ‘n stuff were sticking out of the ice. 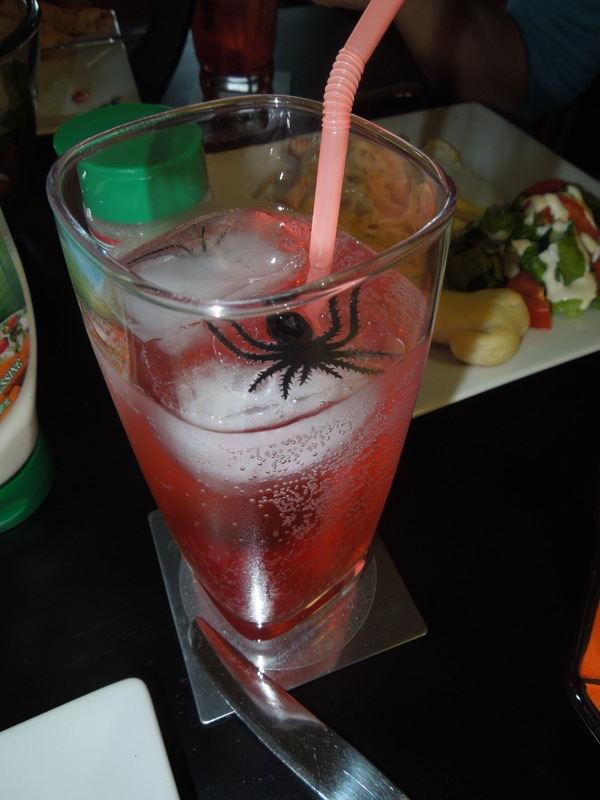 On the second batch, I put the spiders into the trays and then added half water and let them freeze, then I added the other half of the water and then froze again. The 2nd batch worked much better because the spiders were more in the middle of the ice-cube, but when it came down to it, it didn’t matter. All of them looked super creepy! Then we added these cubes to a Shirley Temple mixture of Sprite, grenadine, and maraschino cherries! YUM! After dinner we headed over to the Gateway to see Frankenweenie! 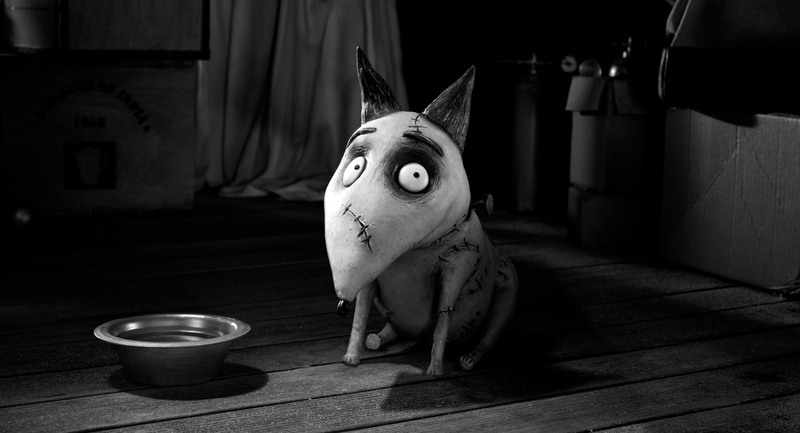 It is SUCH a cute movie. I love it. 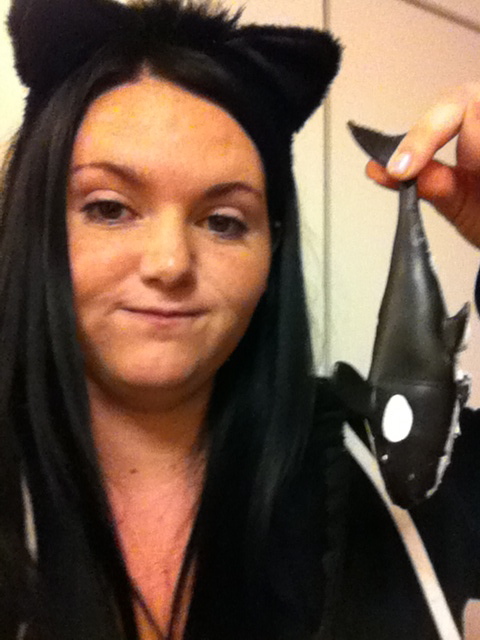 I have a DEATHLY/ridiculous FEAR OF SHAMU…THE KILLER WHALE! AHHHHHHHHHHHHHHHHHHHHHHHHHHHHHHHHHHHHHHHHHHH! Since recovering from that delicious/frightening dessert we have painted Halloween nails, watched Teen Witch, and are now winding down watching The Babysitter’s Club. Very good night indeed! I love these little witches! 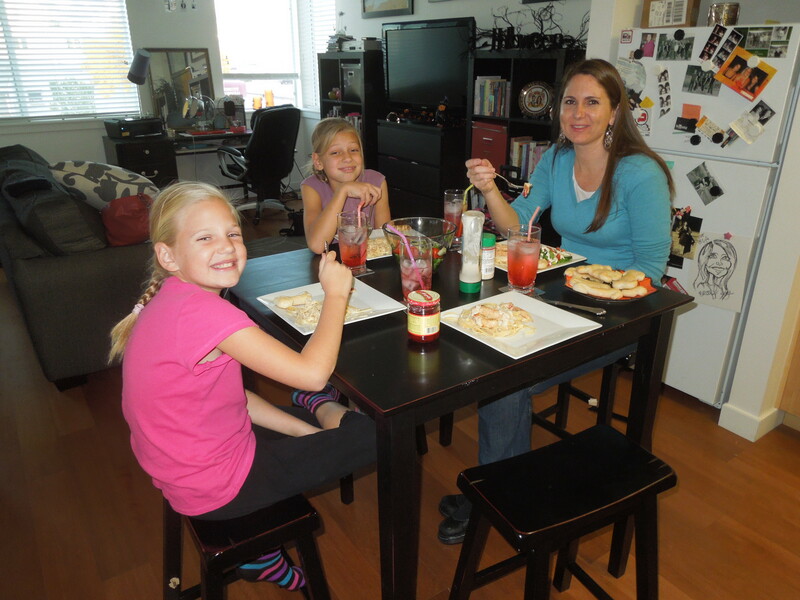 This entry was posted in Fall 2012 and tagged Cari McBride, chicken fingers, creepy dinner, creepy halloween dinner, Creepy things to eat for halloween, Halloween menu, spider icecubes, spooky shirley temples by Brooke. Bookmark the permalink. Not cool. Hahahahaha!!! 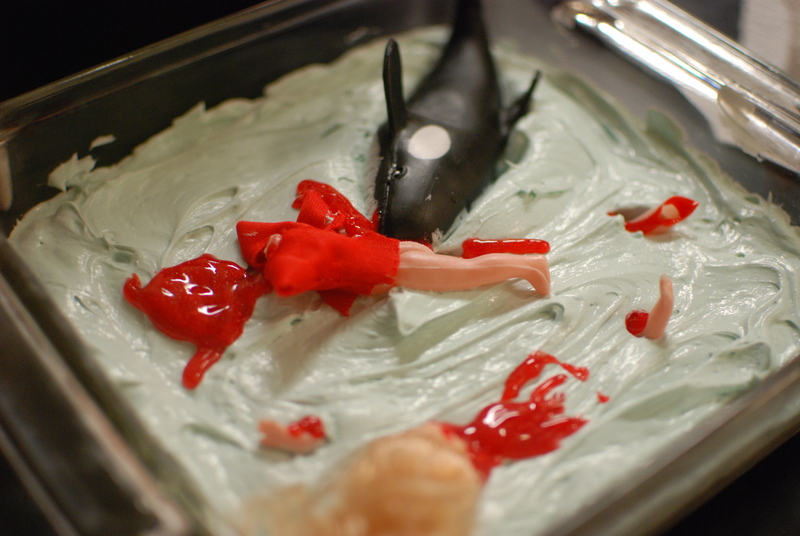 That was fun making a scary dessert for you. 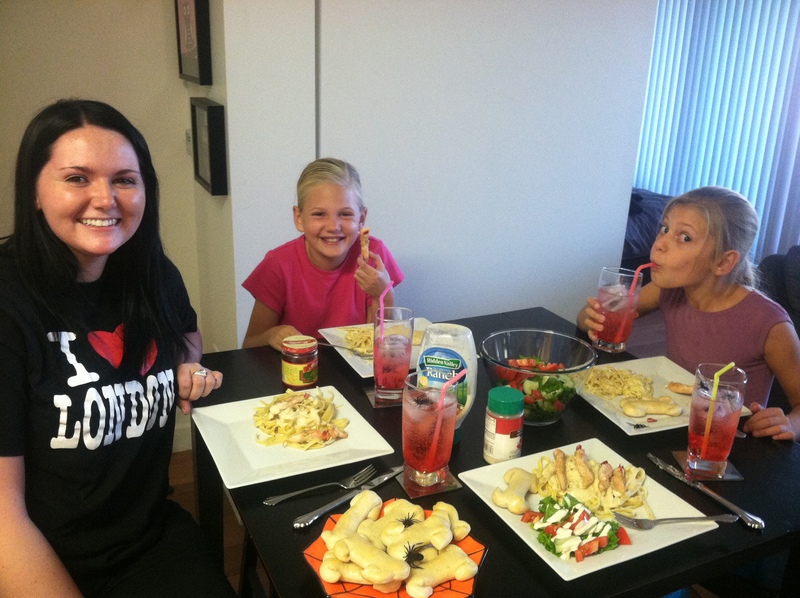 The girls had a blast at their sleepovee. You’re such a cute auntie Brooke!